ISO 9001 is a standard that defines the requirements for a Quality Management System (QMS). It helps businesses and organizations be more efficient and improve customer satisfaction. The primary focus of the ISO 9001 standard is to meet customer requirements and strive to exceed customer expectations. ISO 9001 defines the criteria for a Quality Management System and is the only standard in the family that can be audited against with the goal of voluntary compliance or to become 3rd party registered. In fact, there are over one million companies and organizations in over 170 countries certified to ISO 9001. All the requirements of ISO 9001 are generic and are intended to be applicable to any organization, regardless of its type or size, or the products and services it provides. The standard is based on seven Quality Management Principles, including a strong customer focus, the motivation and implication of top management, the process approach and continual improvement. Complying with ISO 9001 ensures customers get consistent, good quality products and services, which in turn brings many business benefits. The standards provide guidance and tools for companies and organizations who want to make sure their products and services consistently meet customer’s requirements and that quality and customer satisfaction are consistently improved. Any organization can meet the requirements of ISO 9001 either through voluntary compliance or to become 3rd party registered. It can be used by any organization, large or small, regardless of its field of activity. Integrate multiple management systems where the ISO 9001 structure is the same, such as ISO 14001 (Environmental), ISO 45001 (Occupational Health and Safety), etc. Compliance with the ISO 9001 requirements are typically achieved when there is a need driven by customers but also when an organization wants to improve its QMS with the goal of improving its products or services and ultimately customer satisfaction. 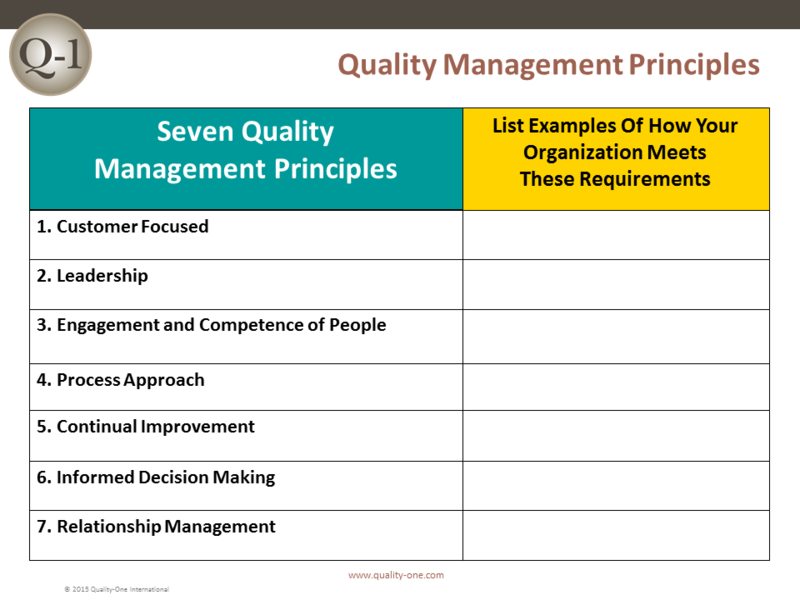 Organizations’ deciding to develop and implement any new or improved Quality Management System is a strategic decision. All efforts should be focused on the identification and minimization of risk while meeting and exceeding customer and organizational goal and objective requirements. 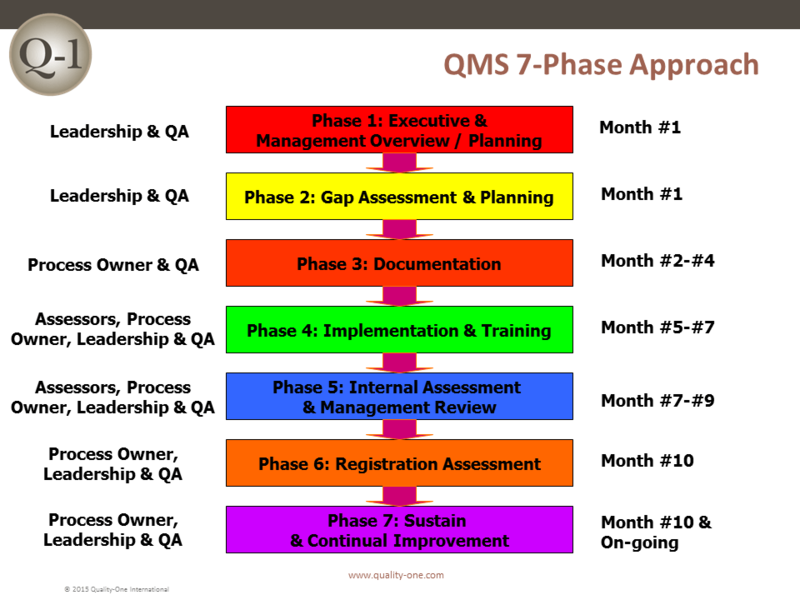 Quality-One offers Quality Management Systems Development through Consulting, Training and Project Support. 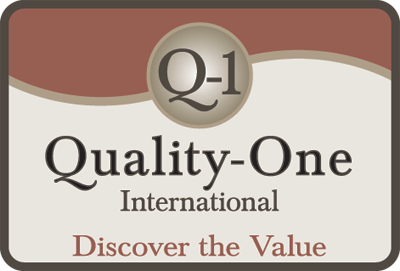 Quality-One provides Knowledge, Guidance and Direction in Quality Management Systems development activities, tailored to your unique wants, needs and desires. Let us help you Discover the Value of ISO 9001 Consulting, ISO 9001 Training or ISO 9001 Project Support.